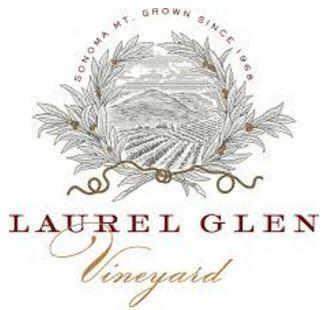 Laurel Glen Vineyard was born in 1977 when Patrick Campbell purchased a 3-acre parcel of Cabernet Sauvignon vines on top of Sonoma Mountain. He produced the first wine under the Laurel Glen label in 1981. When Bettina Sichel – the current proprietor of Laurel Glen – bought the property in 2011, the estate comprised a total of 14 acres under vine. The vineyard is broken into nine separate blocks, the oldest of which was planted in 1968 (not including the unique row that dates back to the 1880s). The red sandy soil is of volcanic origin, and the site has an east facing slope at about 1,000 feet elevation above the town of Glen Ellen. It did not take long for this unique vineyard site to gain a reputation for producing some of the best and longest lived Cabernet Sauvignon in the state. Bettina seeks to elevate the amazing wines from this historic vineyard to new heights. She has converted all of the viticulture to strictly organic practices, and in 2014 the vineyard received CCOF organic certification. She has also hired Master Winemaker David Ramey to guide her decisions in the cellar. One of his best cellar decisions was to hire Randall Watkins as winemaker. The initial results from this new team have been spectacular, producing wines with a bit more suppleness and elegance upon release while compromising nothing in depth and complexity. The hallmarks of Cabernets from this vineyard have always been their great structure and long finishes. Wine Enthusiast 93 - "Blended with 10% Merlot, this wine sources grapes both from its famous estate, as well as from nearby Pickberry and Murray vineyards. It delights in luxuriously bright acidity and a jammy explosion of blackberry, chocolate, clove and tobacco, the texture roundly approachable."